Islip Terrace is a hamlet and census-designated place located in Suffolk County, Long Island, New York. It is within the Town of Islip. 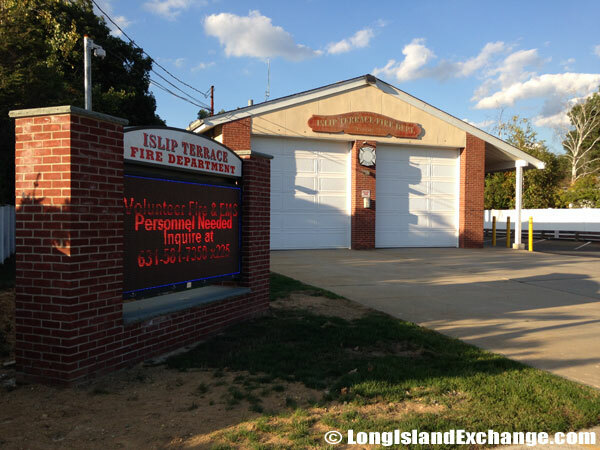 Islip Terrace has its own Fire Department located on Manhattan Blvd. According to the United States Census Bureau, Islip Terrace has a total area of 1.4 square miles, all land. As of the 2010 census, there were 5,389 people, 1,691 households and 1,464 families residing in the CDP. It has had a population growth of 0.6% percent. The median income for a household in the CDP was $92,023 and the median income for a family was $96,818. Males had a median income of $70,640 and only $39,806 for females. Islip Terrace ZIP Code is 11752. Area Code is 631. The latitude of Islip Terrace is 40.743N. The longitude is -73.193W. It is in the Eastern Standard time zone. Elevation is 23 feet. 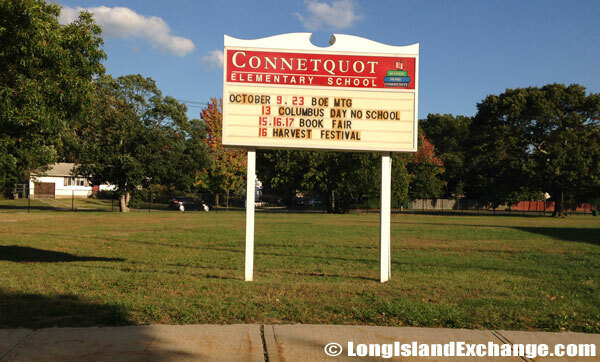 A sign welcomes visitors and residents to Islip Terrace, a hamlet and census-designated place located in Suffolk County, Long Island. The sign stands at the north western corner of Carlton Avenue and Islip Boulevard at Sunrise Highway. 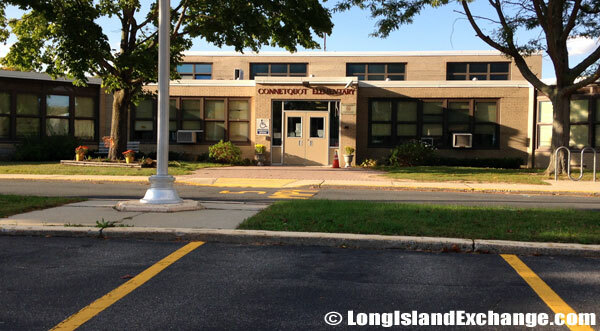 Connetquot Elementary School, East Islip Union Free School District, Islip Terrace. In 1914, a real estate agent Andrew Wolpert Sr. together with his three sons began constructing houses in the woods between East Islip and Central Islip State Hospital. The area was originally named after Islip, Oxfordshire, England. The neighborhood was formerly known as Germantown but the war brought pressures to change the name of the area. The Carleton Terrace, a small strip mall close to Sunrise Highway in Islip Terrace. 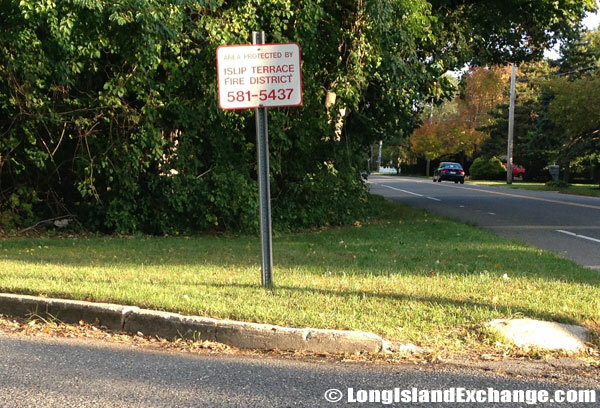 A sign lets residents and visitors see that the area is protected by the Islip Terrace Fire District and lists its phone number as (631) 581-5437. 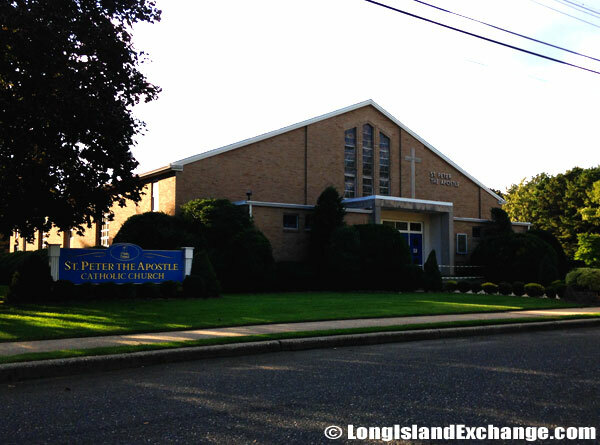 St Peter The Apostle Parish Islip Terrace, NY 11752. On December, 1922, the name of the area was changed to Islip Terrace when the post office was established in the former Wagner Hotel on Carleton Avenue. 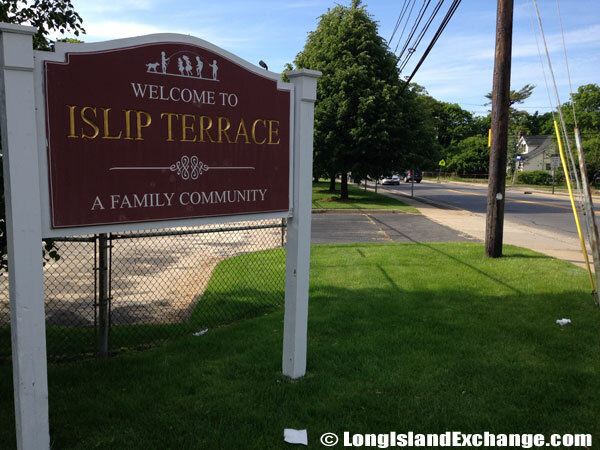 Some people thought that the name came from the fact that the community was north of, or above, East Islip, and because a terrace implies a strip of land planted with several trees and shrubs. Post Office in Islip Terrace, established in December 1922. This building was previously used as the Wagner Hotel. East Islip Fire Department, Station #2. 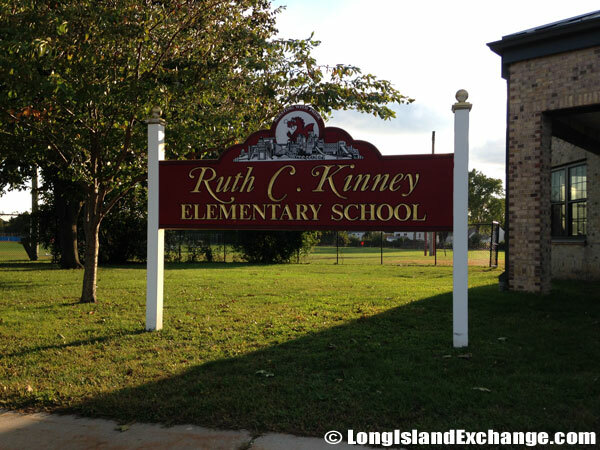 Ruth C. Kinney Elementary School, East Islip Union Free School District, Islip Terrace. The racial-makeup of Islip Terrace comprises of 95.82% White, 0.50% African American, 0.04% Native American, 1.49% Asian, 1.08% from other races, and 1.08% from two or more races. Most of its resident’s ancestries were Italian, Irish, German, English, Polish, Puerto Rican, Swedish, and Scottish. 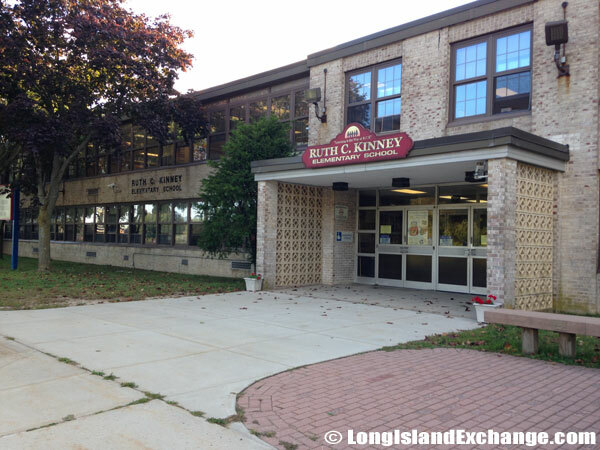 Islip Terrace is mainly served by East Islip School District which has five elementary schools, one middle school, and one high school. Their public schools spend with at least $10,900 per student. The average school expenditure in the United States is $6,058. There are about 16 students per teacher in Islip Terrace. 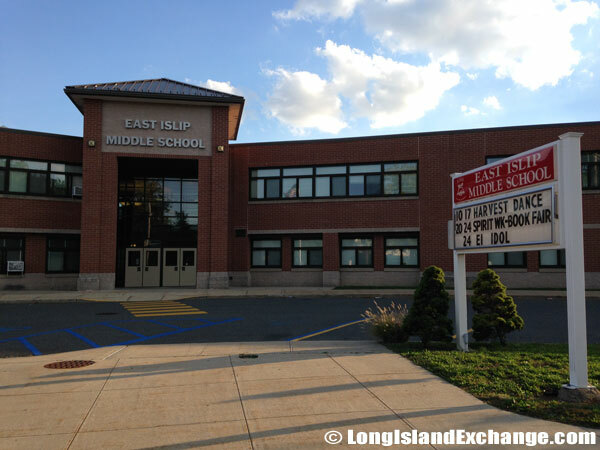 The East Islip Middle School, 100 Redmen Street, Islip Terrace, NY 11752. 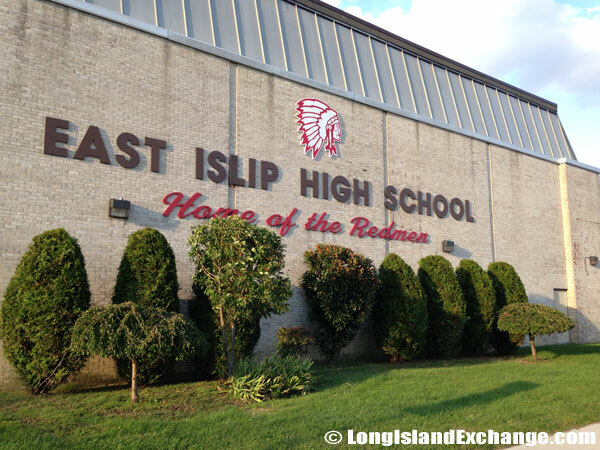 The East Islip High School, 1 Redmen Street, Islip Terrace, NY 11752. The Connetquot River State Park Preserve is a famous park in the area. The park offers hiking, fishing, a bridle path, nature trails, cross-country skiing, snow shoeing, a museum, and recreation activities. It also provides excellent opportunities for fishing brook, brown and rainbow trout, with some trout being as much as 15 pounds. There are different mix of home styles that Islip Terrace can offer including single-family homes, condos, co-ops, rentals, and many more. Christ Evangelical Lutheran Church Islip Terrace, established in 1915, originally named the Christus Evangelisch Lutherisch Kirche of Germantown chartered by 20 congregants and 9 officers. 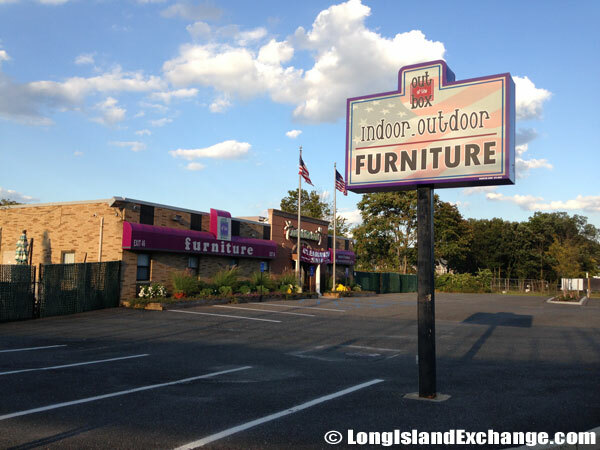 Just west of Connetquot Avenue on the nort side of the highway is Out of the Box Furniture, located at 3045 Sunrise Highway, Islip Terrace, New York 11752.